Never knew what to do with seaweed? 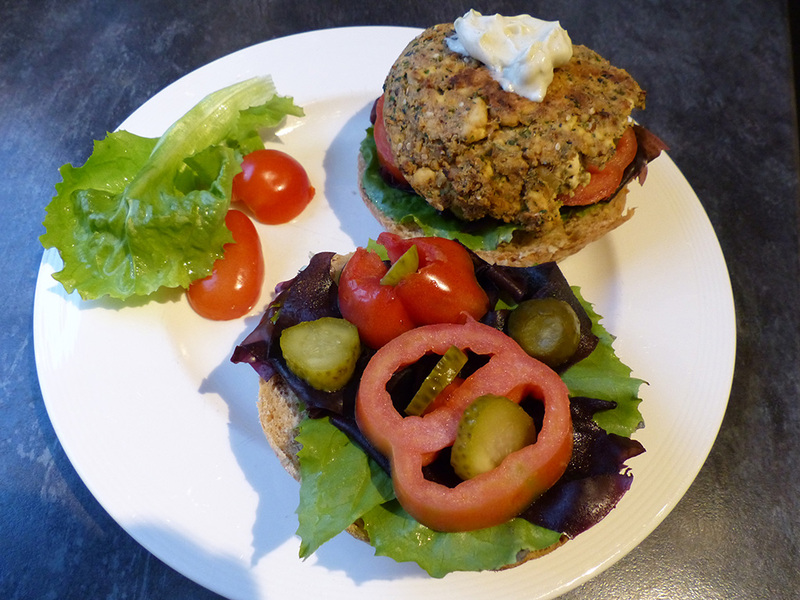 Try this healthy alternative to meat burgers, made with tofu and seaweed! Seasonal recipe with tomatoes and lettuce. Drain the tofu. You can do this by placing the tofu on a clean tea towel, wrap the sides of the tea towel around the tofu and put a heavy object on the top (like a heavy pan). Leave like this for 30 minutes. Mash the drained tofu with a fork. Mix together the stem ginger, nori sprinkle, egg, bread crumbs, miso soup and spice mix and add this to the tofu. Mix well. Form burgers (with wet hands) of this mixture. Put the burgers on a baking tray lined with baking paper. Bake one side in a 220C (gas mark 7) for 10 minutes. Turn the burgers, add the rolls and bake for another 10 minutes. In the meantime mix together the mayonnaise and the wasabi powder. Add to the shredded lettuce. Slice open the rolls and add the lettuce, one burger, tomato and gherkin. Top with the other half of the roll. FOR GLUTEN FREE: REPLACE THE ROLLS WITH SOME TATTIES!